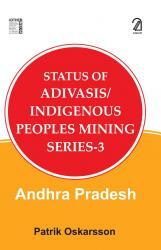 Andhra Pradesh, with a history of Adivasi assertion, is also an important mining area, particularly coal and bauxite. Here too, it is the ancestral domain of the Adivasis with its forests and rich natural resources, which is rich in minerals. It is also a major extractor of minor minerals. despite one of the most strongest laws to protect tribal lands and a Supreme Court judgement that bars even transfer of government land to private companies, the Adivasis in the State has faced repression, violence and alienation.